In action during their regular meeting on July 19, the ICC Board of Trustees approved Kim Armstrong as the new vice president of marketing and institutional advancement. She will oversee both the ICC Educational Foundation and the Marketing Department, which includes the public relations, events, document services, web services, social media, graphic design, and admissions offices. Her new role combines the previous positions of vice president of marketing and college communications, from which Dr. Fliege retired in March, and the vice president of the Educational Foundation, a position that has had a vacancy for some time. She joins ICC after serving for 11 years as the key account executive for the largest account at Taylor Communications (formerly pii), in Bloomington, Ill. She also worked at Xerox in Peoria, Ill., where she served as the production solutions executive and was responsible for production printing solutions for clients such as State Farm and Caterpillar. Armstrong holds a bachelor of arts degree in marketing and public relations from Bradley University. She is actively involved in the community and volunteers with the Peoria Public Arts Advisory Commission, Chi Omega Sorority, Invictus Woods, and Bradley University. 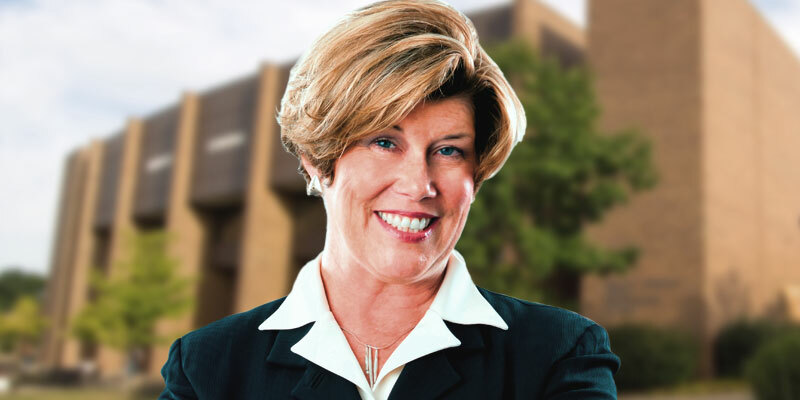 She has received numerous awards, including the 2007 Centurion Award, which recognizes a Bradley alumnus who has brought national and international credit to Bradley University; the 2017 Lydia Moss Bradley Award for outstanding service; and the Chi Omega National House Corporation 2017 Member of the Year Award. As of August 13, she may be reached at Ext. 5599. Her office will be located in L411. Linda Barth will be her administrative assistant, Ext. 5596.